Edward Canon was born near an old community called South Bosque in Mclennan County. His education took place there at the South Bosque schools, Waco High, and eventually Toby’s Business College of Waco. While there, his roommate was our Past Master E. C. Street. His career began as a Court Reporter for the City of Waco. He then accepted a position as clerk for Austin’s General Land Office. Having learned enough of law to begin his own practice, he was admitted to the bar and began lawyering in Odessa and Pecos where he served as it first mayor. Finally, Canon came home to Waco. His law office here was in the Praetorian Building downtown. Canon’s masonic career would stand impressively against any other. It began at Coryelle Lodge #442 when he became a mason there on July 30, 1898. In “A Century of Fraternity,” Brother Conger’s book about the first 100 years of Waco 92, Canon was remembered as a “truly devoted and tremendously capable man and mason… It was his avowed determination to see Waco become the Masonic center of the State. Some of the old-timers like to recall that Brother Canon used a large and very loud cow-horn, blown from the third-story lodge room window, to assemble the craft on meeting nights.” He was the first Waco mason to earn a certificate recognizing his proficiency in masonic work and he helped form Waco’s Eastern Star chapter. It was named in his honor. Canon served as Grand Patron of the Texas Eastern Star. He was a primary cog in the machine of men that restored Waco 92 to its previous prestige during the 1900s. He served as our master in 1903 and then, in 1920 Fidelis 1127 received its charter and on it, 33 initial members were from Waco 92. During his year as 92’s Master, Brother Samuel Palmer Brooks, then president of Baylor, affiliated with our lodge. Brother Canon was elected as the first Worshipful Master of Fidelis 1127. In addition to Fidelis and Waco 92, Canon was also a past master of Pecos Lodge 736 and a charter member/past master of Odessa Lodge 955. He was High Priest of Waco Royal Arch Chapter 45. 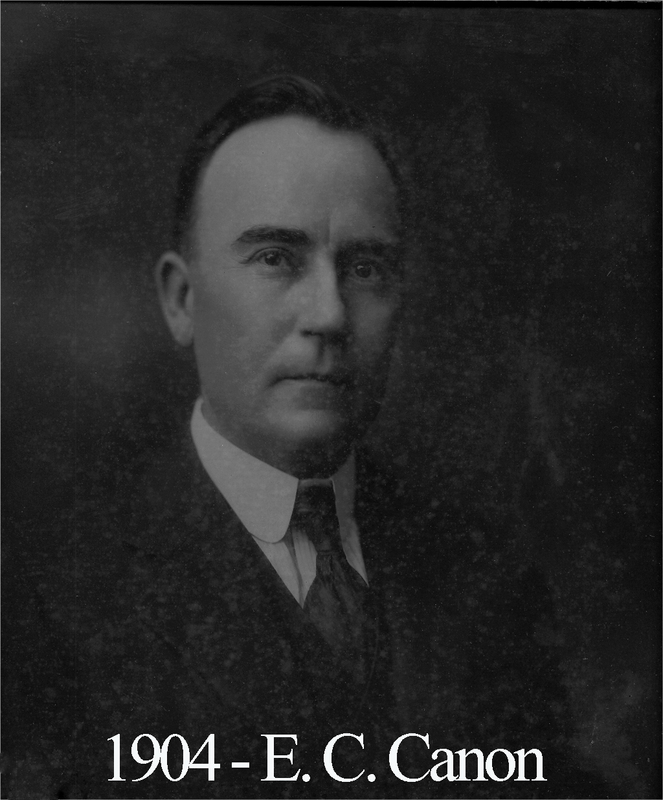 During the 1920s, Canon was a member of a Scottish Rite degree team that gained a widespread reputation and received many invites to perform all across Texas. Team members included Lee Lockwood, F. Gildersleeve, M.T. Bell, and an assortment of others. In 1925, he held the title of Right Worshipful Deputy Grand Master. The last year of his life saw him move back to Waco after a second stint of living in Odessa. He had fallen ill and required serious treatment and surgery so he returned to Waco and the Hillcrest Baptist Sanitarium where he knew he could trust the physicians. His last year was spent primarily confined to his home at 2121 Colcord and he enjoyed many visits from masons during that time.